I am starting a whole string of changes to my site and as part of this I now have an 'In Stock' page. It currently shows 20 custom made items that are ready to ship, but I will be adding another tranche of pieces very soon and then updating regularly. I want half of these! Keep this updated, that's a great page to have. This one is sweet, too. Probably missing it someplace obvious on the page but I'm curious how to know size on these? Photos are great and having the in stock page is even better but I'm also the kind of goofball that gets out a tape measure when I browse stuff like this to try to get a feel for how well it will fit in hand! Joe, you are completely right that this information is missing right now. I did intend that this information would be there from the start, but it will in fact be added as soon as possible. Sorry for the inconvenience, but it will be resolved. Slight glitch smoothing, but all is OK now - sorry. Leo: Really like the idea of the " In Stock " page: I'm sure to check up on it often, and when I'm feeling weak and looking for something to buy. Although just looking at the page makes me feel " weak " and very tempted to get something for myself as a gift for myself to myself soon. 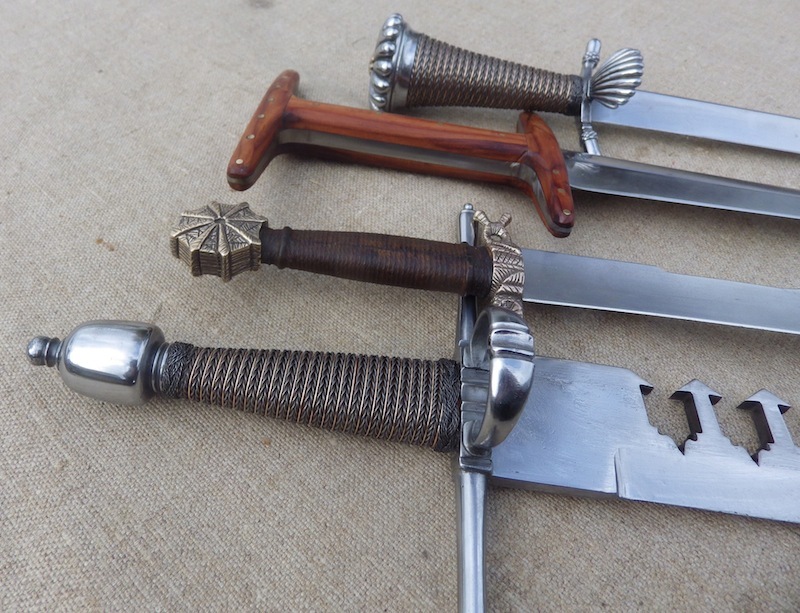 Since I already know the quality of your work with the Eared Dagger I commissioned and a Baselard I won here once as a " myArmoury " prize you donated a few years back, getting another of your really period feeling and looking daggers is very very tempting. When my wife saw this she promptly hid my wallet, I swear she heard my will weakening from across the house. Thanks for the feedback and after some teething problems with code and boring stuff, things should be settled now. I have had a great response and of course and now thinking I should have done this years ago. 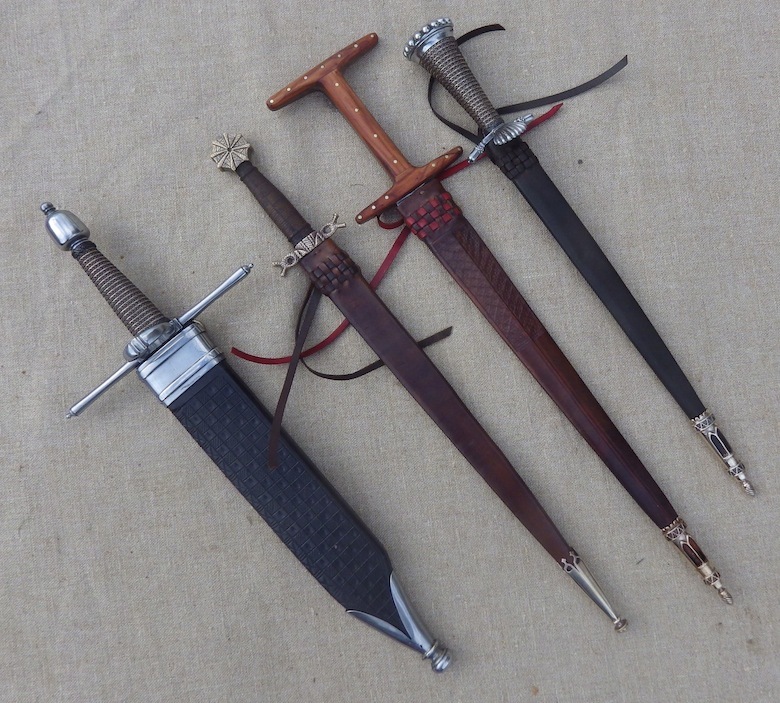 Yes there will in due course be a range of the items I hold in stock; quivers, sword scabbards, crossbows, catapulta, shields and so forth. My stock cupboard is a little like an upmarket historical flea market / bric a brac / car boot etc and this should allow and outlet for it. Damn Tod! Do you sleep? How do you find then time to make all the great stuff? I think the in stock page is great, although everything on it (right now) is a bit too late for me. I will keep checking it regularly though! Having known Tod for a number of years I am forced to the conclusion that he is the living exemplar of the Duracell Bunny..... although given that that is a non-US reference as I understand it for trademark reasons, perhaps the Energizer Bunny is the correct version given his current location at a job in Las Vegas. Man, at those prices it's hard to believe that you have anything in stock. 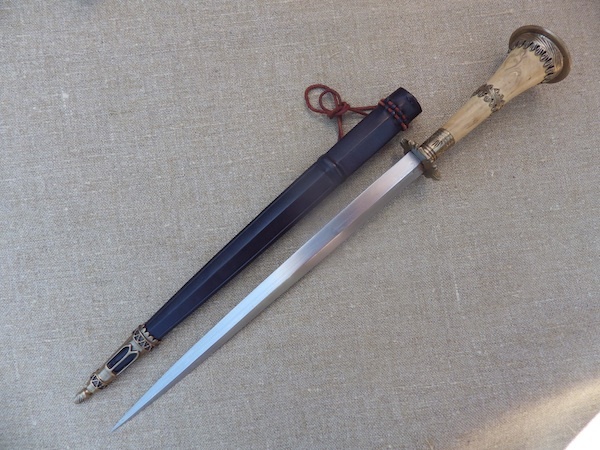 Love your daggers and knives. Damn Tod! Do you sleep? How do you find then time to make all the great stuff? Yes I do, but I love my work and so I frankly spend too much time doing it! The thing is really get a buzz out of making this stuff and so that energy helps to keep me going as indeed does MA as a community and my customers. Thanks also to you all for your kind comments and when I post up new items I will let you know. As Martin said I am over in the US for a few weeks making crazy stuff for a science/engineering show, but when I return I will add dimensions to the in stock page. However, given that my life is based heavily on making stuff, after seeing your DIY shops I may be applying for a green card. I will try and post up some better pictures in the next few days. 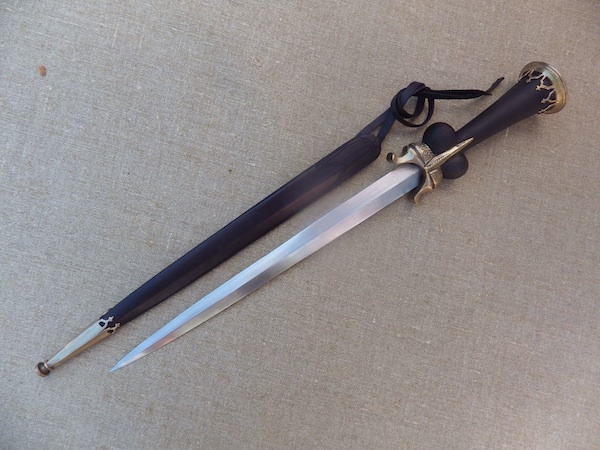 Also from your in-stock page, the 1380 baselard and the 1500 rondel. 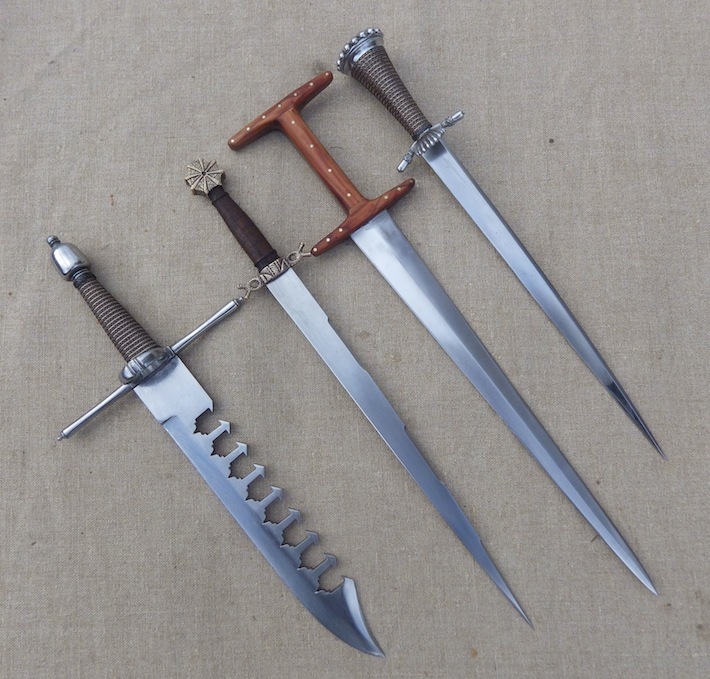 I'd have a hard time deciding between the bronze hilted dagger and the sword catcher. I'll take the other two.